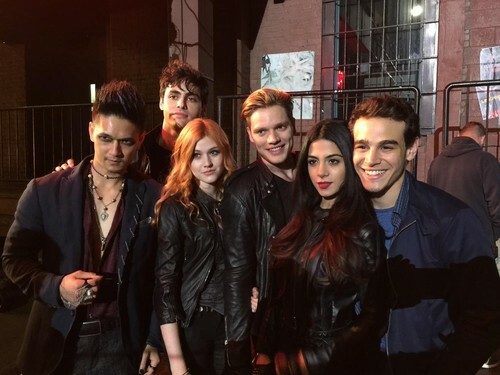 'Shadowhunters' on set. . HD Wallpaper and background images in the Shadowhunters TV 表示する club tagged: photo shadowhunters the mortal instruments on set season 1 harry shum jr matthew daddario katherine mcnamara dominic sherwood emeraude toubia alberto rosende. 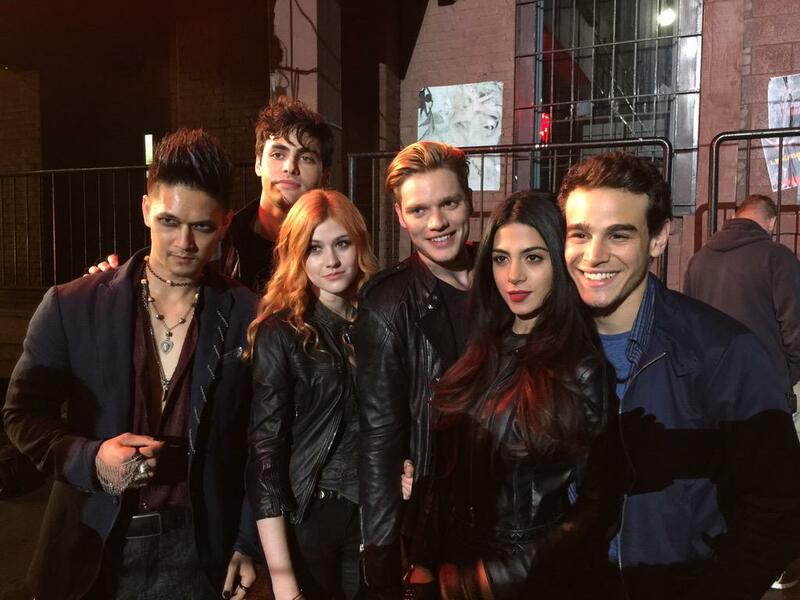 This Shadowhunters TV 表示する photo might contain 通り, 都市現場, 都市環境, ストリート, 都市, 都市設定, 都市のシーン設定, スーツ, and ビジネス スーツ.